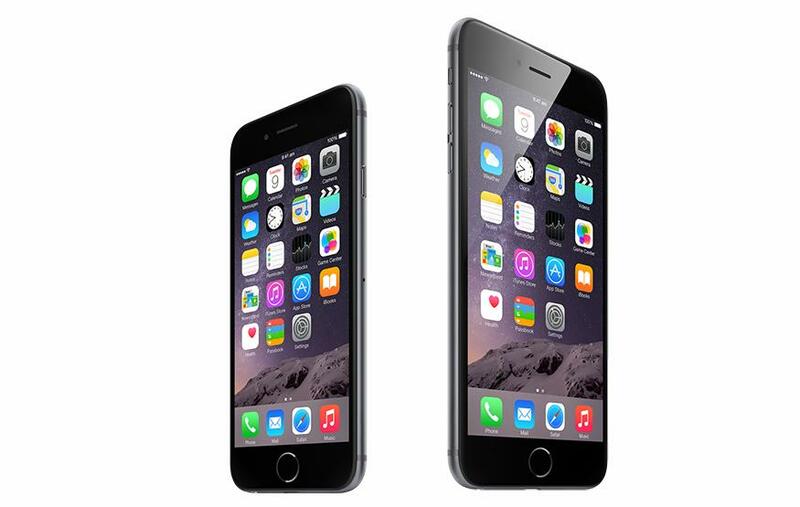 Apple today announced the latest iterations of its flagship smartphone, the iPhone 6 and the iPhone 6 Plus. As rumoured, Apple announced both a 4.7-inch iPhone 6, and a 5.5-inch iPhone, now officially known as the iPhone 6 Plus. Both handsets feature "Retina HD" resolution displays; the iPhone 6 will boast a resolution of 1334 x 750 pixels, where as the iPhone 6 Plus's resolution is 1920 x 1080 – full HD. The two new phones are the thinnest iPhones Apple has made; the iPhone 6 is just 6.9mm thin, and the iPhone 6 Plus is a mere .2mm thicker. The iPhone 5s was 7.6mm thick. In Apple's keynote, the iPhone 6 was described as having a processor 50 times faster than that featured in the original iPhone, and graphic capabilities that are 84 times faster. Battery life of the iPhone 6 was described as being better or equal to that of the iPhone 5s: 14 hours of talk time, 10 days of standby, 10 hours of internet usage, 11 of video playback and 50 of audio playback. The iPhone 6 Plus is said to provide 24 hours of talk, 16 days of standby, 12 hours of internet usage, 14 of video playback and 80 of audio playback. Other improvements include NFC for Apple's newly introduced mobile payments solution, improved front and back facing cameras, and faster 4G connectivity.